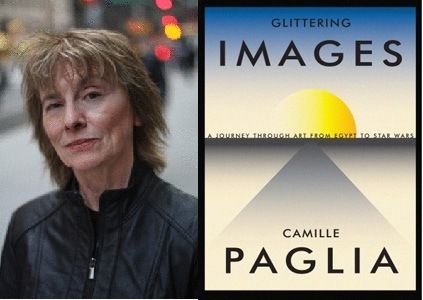 I just read a great excerpt from Camille Paglia’s new book, Glittering Images: A Journey Through Art From Egypt to Star Wars published in the WSJ. I have always loved her cultural commentary, and have followed her essays and publications closely. This particular missive on art is so prescient and obvious, and in her most eloquent way she hits the proverbial nail on the head with respect to the quality deficit in contemporary fine art. She notes that commercial art (e.g. industrial design and architecture) is booming vis a vis beauty and boldness. Precisely because, she suggests, the works observe the commercial world which is (like it or not) our reality. She also touches on the topic of spirituality, and how fine arts have been practically allergic to this notion for the last 40 years hence the major decline in strong work today in the fine art discipline. To this I concur 100%. Embracing spiritual language in tandem to exploring a technical and intellectual art practice is enormously beneficial. I hope she delves into this a bit more in her new book. A great example of vacuous contemporary art to me is illustrated best in a recent interview published in Paper Magazine this month where artists Barry McGee and Chris Johanson interviewed one another. I found the banter pretentious and really parochial. Neither discussed their practice, more discussing how they no longer make their own travel reservations, thank goodness for their handlers. A ripe example of contemporary wasteland artist as rock star for no apparent reason except for keeping very exclusive and loyal to their very clicky art tribe. While researching Camille’s new book, I came across a really wonderful (in a scathing and honest way) commentary of contemporary art by my new favorite art critic Sam Doonan. Sam is creative ambassador for Barneys, a retired window dresser and very witty writer. He mentions Camille’s book in the article on Slate, and gives some really colorful reasons why he is not attending Art Basel in Miami this week. I hope you enjoy his rant as much as I did!! !